Me again talking about how much I love Vinyl and how great it is. 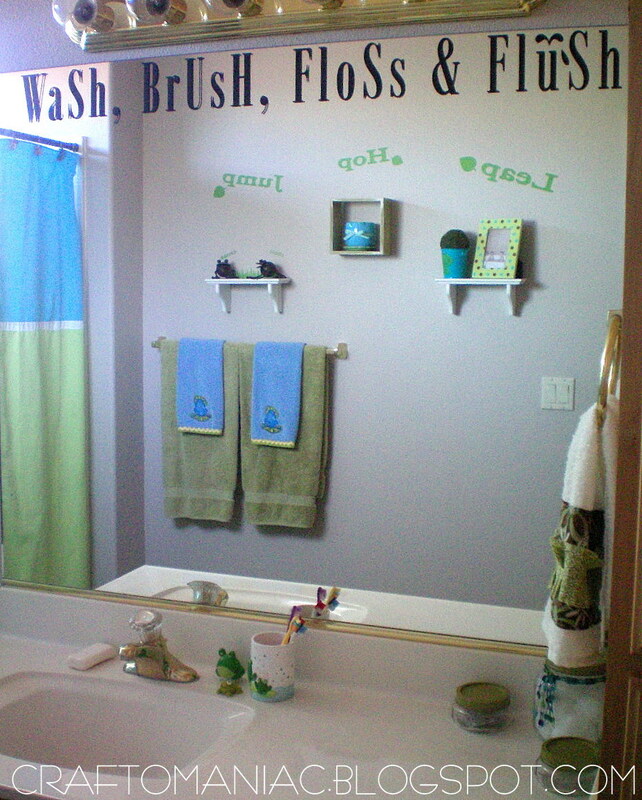 TO dress up walls, mirrors, tin, metal, wood, plaques, etc. i love it!!! I ordered some vinyl a little over a week ago on clearance. Forgive me but I cannot remember the site, so sorry. A blogger was talking about a vinyl sale and so I went there and ordered two vinyl sayings. Anyway, if you notice under my sponsors I HAVE THREE GREAT VINYL SITES WHERE YOU CAN Purchase VINYL! The one Vinyl saying I put in my kids bathroom on their mirror. THEY REALLY DO NEED THE REMINDERS WINKS! THATS ALL give your walls OR “MIRRORS” a voice……. THANKS FOR STOPPING BY! HUGS, jen I am linking up to Tatertots and Jello for Weekend Wrap Up Party HERE and DIY Show off for Project Parade HERE. That is so cute!! I love it! It adds so much personality!! Never thought I would be so jelouse of a bathroom! You win! Very cute! And they do need reminding ;P what a cute way to do it. I love it! So cute and perfect!!! Love it! My kids need the reminder too. You are so clever! 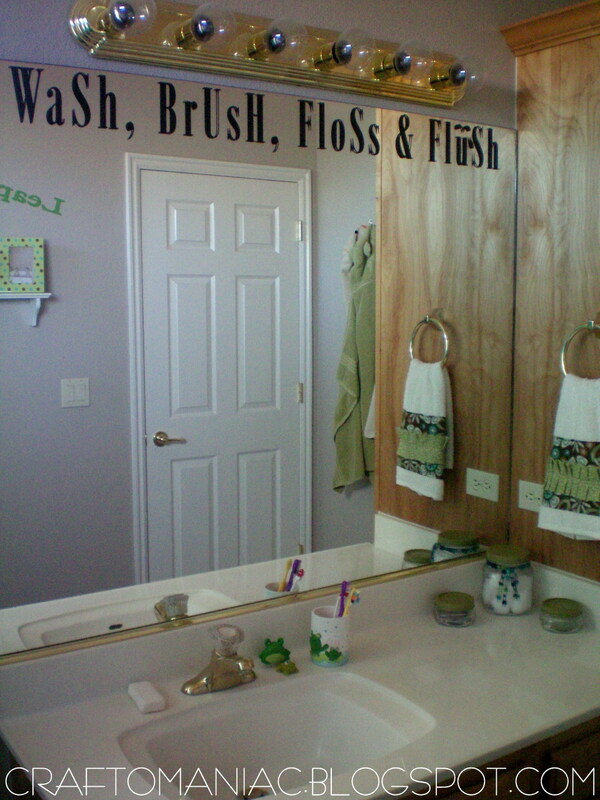 What a cute bathroom! cute! popping in from tater tots and jello. Isn’t that clever!!! What a great way to remind them without you having to “nag”. Very cute. 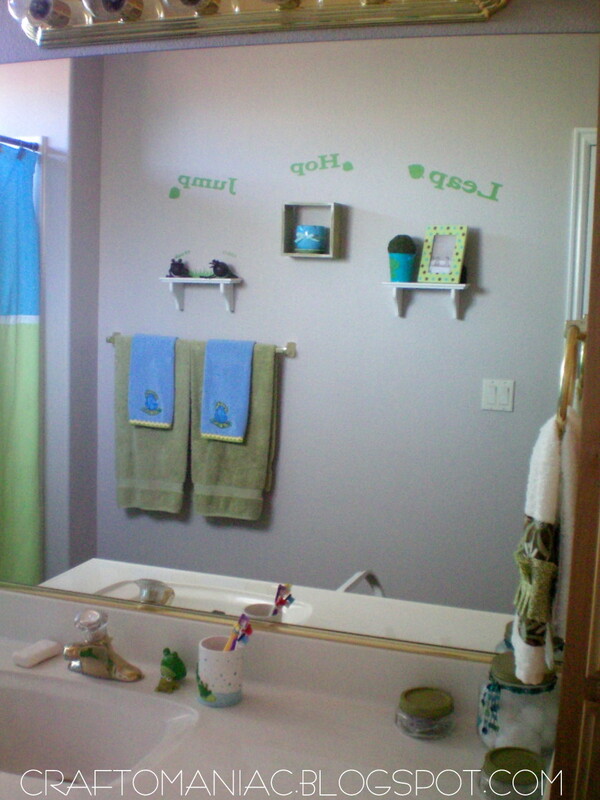 I need to redo my sons bathroom and your theme is so cute. I love frogs and think he would love them too. Very cute, I have a few boys in my house that could use a daily reminder like this! That is really a great idea. Great reminders for all!